Skylights in the recently opened shrine to cocktails and drinking culture known as Bar Agricole are fitted with glass sculptural shades resembling fabric blowing in the wind. 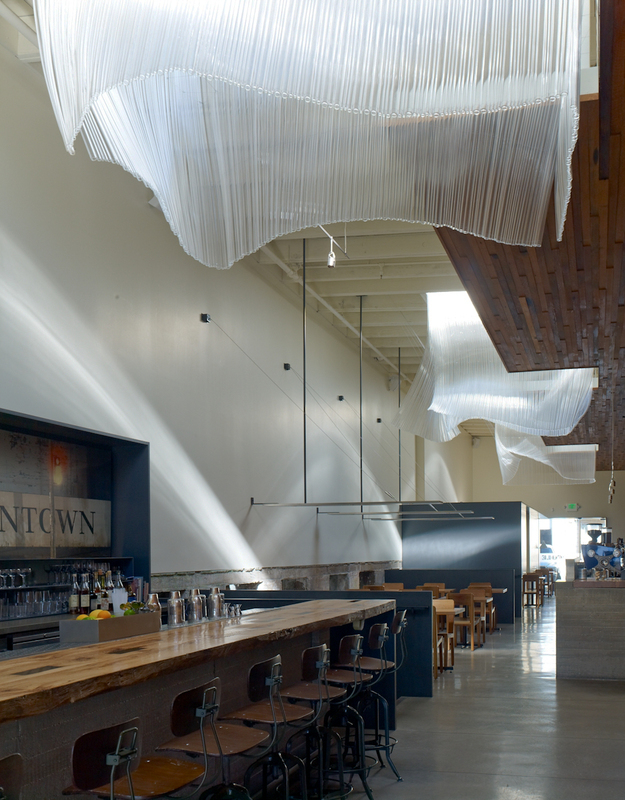 The billowing sculptures that drape from the skylights are the creation of San Francisco glass artist Nikolas Weinstein of Weinstein Studios, and create an unexpected architectural flourish that immediately identifies this bar that opened in August 2010 as something entirely unique. Making one-of-a-kind drinking environments is what Bar Agricole driving forces and mixologist duo Thad Vogler and Eric Johnson have used to become two of the leading lights in the San Francisco cocktail and bar revival. Billed as a “modern urban tavern,” Bar Agricole is located in a formerly abandoned warehouse space in San Francisco‘s hip South of Market (SOMA) neighborhood. The renovated building’s three large skylights soar high overhead in a long, narrow space. The design is an interpretation of “extruding” the skylights down through a partial false ceiling and into the more intimate space below. The shades are straighter and more box-like at the top and devolve into a more amorphous shape as they descend. 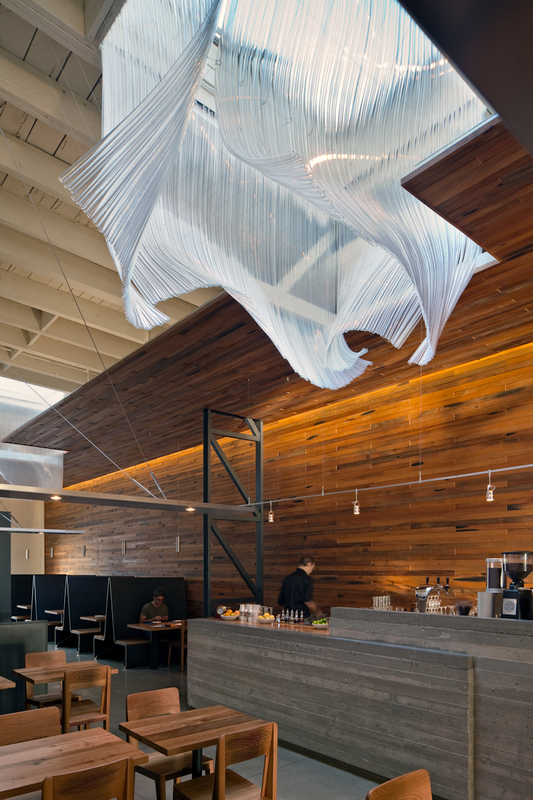 The delicate sculptures provide a contrast in texture and finish to the rough wooden walls. 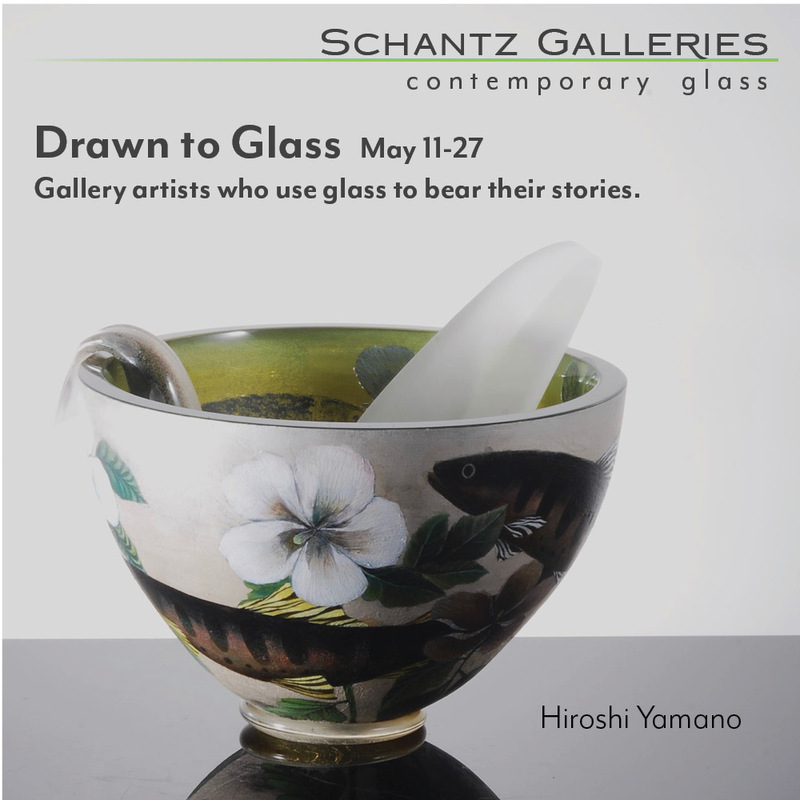 The first step in the fabrication process involved weaving the glass “fabric.” The triptychs are a complex array of 1,362 slender borosilicate tubes, each 82-inches-tall. Laid end-to-end the tubes measure almost 2 miles in length. Another 2 miles of stainless steel cable were used among the three pieces. 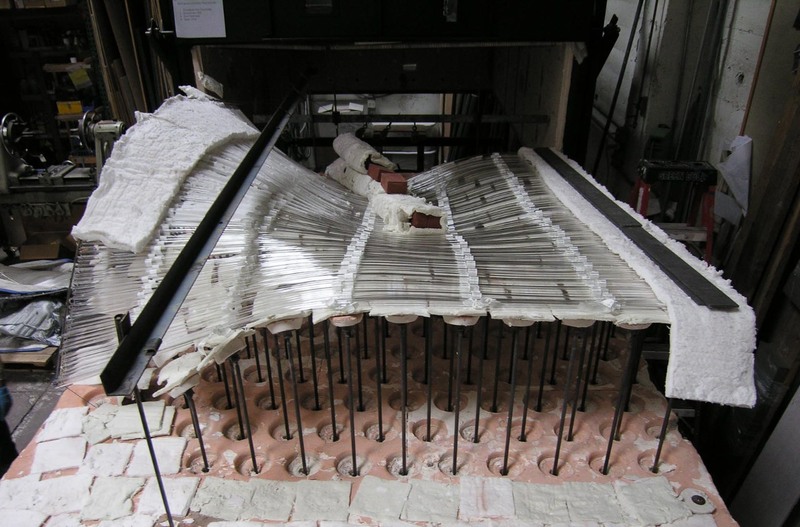 An array of metal supports allowed Weinstein to precisely shape each section of the glass curtain as it was being fused in the kiln. This being earthquake-prone San Francisco, the sculpture was designed to withstand lateral forces over 1 G. After hoisting the 400-pound panels into place, seismic restraining cables were installed and adjusted to hold the glass in shape. These cables resolve into a clean and logical grid and become an organized contrast to the undulating shapes of the glass. Weinstein established his sculpture studio in San Francisco in 1991. The child of an architect and a sculptor, Weinstein’s internships at the American Museum of Natural History and the Scripps Institution of Oceanography, along with his interest in natural and organic forms, clearly inform his creations. 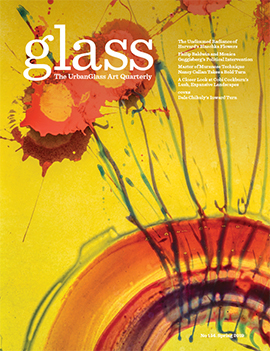 Guest blogger Patricia Linthicum writes Looking At Glass, a blog that focuses on the use of glass in interior design and architecture.